Matrixvisa Issue No. 1/2017 - SA Meetings, Matrixvisa Lobbying & Economic News — MATRIXVISA INC.
You've heard correctly! Our head office has moved to British Columbia. Thank you for all of your patience, and we are so excited to be settled into our new office. Important: Along with out new office, our courier address has also changed - please see it below. Please note this is not a PO Box. Worried you couriered documents to the wrong address? Not a problem, we will still be accepting mail at our old courier address for the next several months. Matrixvisa has been working very hard over the past 10 weeks to lobby the government to reverse the November express entry changes that resulted in an Express Entry points drop of 550 points for an Applicant with an LMIA (Labour Market Impact Assessment). We have assisted several employers to write to the Minister of IRCC and have provided information to large national industry organizations to help them in their lobbying efforts as well. We are doubtful whether the November express entry change was supported by any solid research and we are investigating the issue for an article to be published very shortly. As part of our research we submitted five Access to Information Act inquiries which force the government to provide us with public documents which would otherwise go unseen. On 16 January 2017 we asked the government to provide documents pertaining to the following: “From January 1, 2016 to November 12, 2016, any records provided to the Minister of IRCC, Minister McCallum, his chief of staff, assistant Chief of Staff and any other employee in the office of the Minister of IRCC by the IRCC department officials about the changes announced for Express Entry that appeared in the Government Gazette on Sat 12 November 2016, Part 1, Vol 150, Number 46 (the ministerial instructions). Specific interest (but not limited to these items) is the motivation of these changes, the projected outcome or projected result of these ministerial instructions”. The question was supposed to be answered (in documentation) by 16 February 2017, but today the government asked for a 90 day extension which they may do in terms of federal law. On 15 December 2016 we asked the government the following: "From November 14, 2016 to December 3rd, 2016, copies of all letters, e-mails and faxes sent to the Minister of IRCC, Minister McCallum, his chief of staff, assistant Chief of Staff and any other employee in the office of the Minister of IRCC by the public (individuals, employer organizations, business etc.) about the changes announced to Express Entry that appeared in the Government Gazette on Sat 12 Nov 2016, Part 1, Vol 150, Number 46"
We were supposed to obtain a response by 15 Jan 2017, but once again the government requested a 90 days extension. We will have to wait until 15 April 2017 to receive responses for the above requests, hopefully with no further extensions or excuses. The previous Minister of Immigration, Refugees and Citizenship Canada (IRCC), Minister McCullum was asked to become the Ambassador to China (generally seen as a promotion). He holds Phd in Economics and has been admired by many including us here at Matrixvisa. 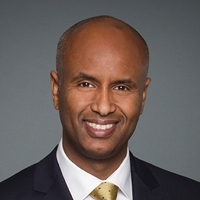 The new Minister of IRCC is Minister Ahmed Hussen whom came to Canada as a 16-year old refugee from Somalia. Minister Hussen also qualified as lawyer five years ago. It was reported by CBC on 10 February 2017 that the Canadian economy developed 48, 000 jobs in January 2017 and 54 000 jobs in December 2016. The Globe and Mail reported on the topic: While this is may be an indicator of a stronger economy, two-thirds of the jobs were only part-time. Alberta’s economy in particular has replaced 27,600 full-time jobs that were lost in 2016 with part-time jobs. Despite this, Canada has had the highest employment rate for ‘core aged workers’ (25-54) since the 2008 GFC. The CBC also reported that our economy showed the first consecutive two-month trade surplus since September 2014. We hope that the positive forecast on the Canadian economy will become a reality for Canada, but time will tell how the relationship (NAFTA: North American Free Trade Agreement) between Canada and the U.S. will change. See more below about the NAFTA topics up for renegotiation. One trade lawyer predicted that Canadians would actually like many of the benefits the potential changes would bring them. The Keystone XL Pipeline proposal for a pipeline running from Alberta in Canada to Texas in the US, has been ‘in the pipes’ since July 2008 (Global News timeline). After environmental impact assessments, company buy-outs, multiple oppositions, more reviews, delays, protests and 3.5 years later, the previous US President Barack Obama rejected the pipeline in January 2012. Following another veto by Obama and another 4 years, President trump signed executive orders in January 2017 for the construction of the ‘Dakota Access’ and the continuation of the Keystone XL oil pipeline. The approval of the Keystone XL Pipeline project is hoped to breathe life into the Alberta oil sands once again, but as reported by the Financial Post on 13 February 2017, the project is only estimated to be completed in 2019. With oilsands production expected to take on a steady increase over the next 5 years, the industry is looking to existing rail shipment infrastructure to provide transportation of crude oil to the refineries. Drilling for oil and gas are increasing with some companies such as Nabors having increased their drill rigs from 3 to 45 active rigs. Precision Drilling has increased their rigs from 11 rigs last year to more than 90 in February 2017 (As reported by CBC News). Canada has strong reserves of uranium but it was reported that the industry has seen the lowest prices in 30 years which has already had a negative effect on employment, as reported by the Financial Post on 10 February 2017. Potash Corporation is one of Canada’s largest potash miners and they have seen a drop in profits of 70%, as reported by the Financial Post on 26 January 2017. The sustainable Canadian softwood lumber industry is an important and well developed part of our economy. Many secondary industries & services, such as housing, rely on and benefit from the softwood lumber industry, which has enough supply to meet national as well as international (US) needs. On the other hand, the US demand for softwood lumber exceeds the national supply/ production. This has been a source of a long and ongoing dispute between the US and Canada. The US - Canada market was previously enshrined in the 2006 Softwood Lumber Agreement (SLA) but reached the end of its term in 2015. The trade disputes in the form of litigation and rulings by the US International Trade Commission have since continued. The Globe and Mail reported on 6 February 2017 that the British Columbia Government and the BC Lumber Trade Council will be lobbying for the re-introduction of a softwood lumber trade deal to settle the disputes and bring mutually beneficial partnership back to the Canadian and US softwood lumber industry. This lobbying campaign is in opposition to the potential for the US Commerce Department to impose duties in imports of Canadian softwood. Jobs directly in the softwood lumber industry and spin off industries will be effected by either outcome. On 9 February 2016 in the Vancouver Sun and the Globe and Mail reported on Canada’s 2016 census results showing that Canada is again the fastest growing G7 nation and the 8th fastest out of the G20 countries. Canada has had 1.7 million new residents since 2011, with much of the growth in the west, including British Columbia, Alberta, Saskatchewan & Manitoba. There was a decrease in population in the Atlantic Provinces, which are becoming more reliant on Immigration to support their populations. The population decrease which the previous Minister of Immigration, John McCallum responded to (in this video from the Globe and Mail) by indicating plans for a 3 year Federal Atlantic Canada Immigration pilot program with a 2,000 quota per year. About two-thirds of current expansion is driven by the arrival of new Canadians from around the world, while natural increases make up the remaining third, according to Statistics Canada. A slowdown in natural growth rate is a result of a large baby boomer population and a declining birth rate. It is therefore expected that millions of people will emigrate to Canada from around world in the coming decades. According to the Canadian Health Act, private medical services are prohibited. Ten years ago a British Columbia Doctor, Dr. Brain Day from Vancouver started a court case to win the right for British Columbians to have the right to have private health care if they wish to do so (reported on cbc.ca on 12 February 2017). Currently the Supreme Court in BC is hearing 107 witnesses as part of the litigation. If Dr. Day wins his case it will probably have a fundamental effect on our health system as the Quebec superior courts have previously held that some sections of the Health Act are unconstitutional. In Canada it has always been common knowledge that when it snows, those who are unfit or elderly may be at risk of a heart attack or health problems while trying to get rid of snow on their cars and driveways. This is thought to be due to the increased chance of developing a blood clot when suddenly increasing your heart rate and blood pressure in the cold. A recent study published in the CBC suggests that the amount of snow that has fallen and the weight of snow being shovelled may play a bigger role than the temperature. They suggest shovelling as soon as possible after snow fall to avoid the extra weight of melting snow. Thestar.com published an article on 13 February 2017 advertising a lost and found iphone with a 24-karat gold case! The iphone with a $4000+ valued case was turned in to a Toronto police station 8 months ago, last June! The owner can call the police to confirm details of the phone to prove their ownership… Is this luck, or can we expect this of our fellow Canadians and Canadian servicemen and women?